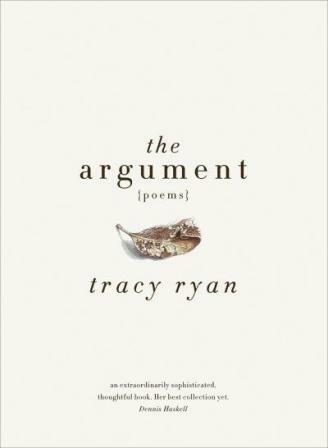 Tracy Ryan’s The Argument is a profoundly thoughtful and sensitive volume of poems. It won the 2011 Western Australian Premier’s Book Award for Poetry, which was announced in September last year, and it is the poet’s sixth collection. …my writing is inextricably bound up with my feminism. This would be the only real connector between my books. I am interested in trying to find ways in which language may be interrupted, disrupted and rejigged for feminist purposes (among others). Usually this attempt would arise from something in either my personal life or the world around me (2001). a loose-knit team: the same, the same. Such simple, honest observations (rather than overt political statements) are what makes Ryan’s feminism, and indeed her poetry, so powerful. the fight, and went on living. in the same soft earth, the laying-down. Already in place when our turn came. Ultimately, The Argument is hauntingly beautiful. And although the title references humanity’s ‘argument with death’, I felt the collection was rather ‘a long conversation / only the smashed syntax of a poem might sustain’—a conversation that is very much about life. The Argument is published by Fremantle Press. Bronwyn Lovell is an emerging poet living in Melbourne. Her poetry has been published in Antipodes, Cordite Poetry Review and the Global Poetry Anthology. She was shortlisted for the 2011 Montreal International Poetry Prize. This entry was posted in Arts, Books and tagged lip verse, poetry, Review, the argument, tracy ryan. Bookmark the permalink.